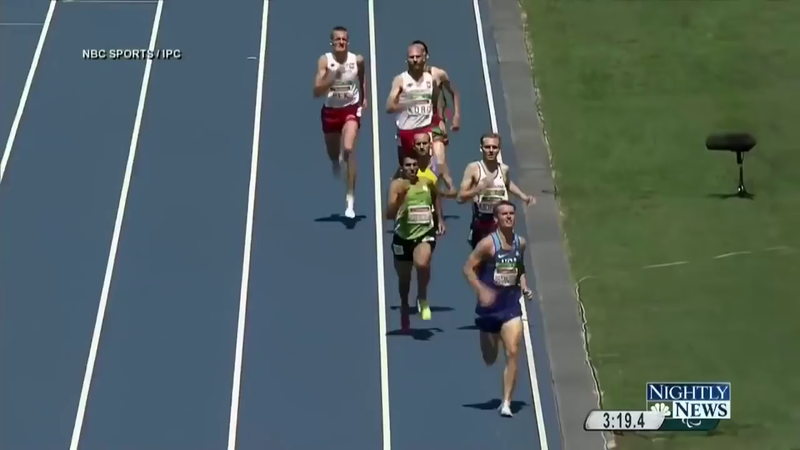 Mikey Brannigan Becomes First American Runner with Autism to Win Paralympic 1500 Meter Gold. 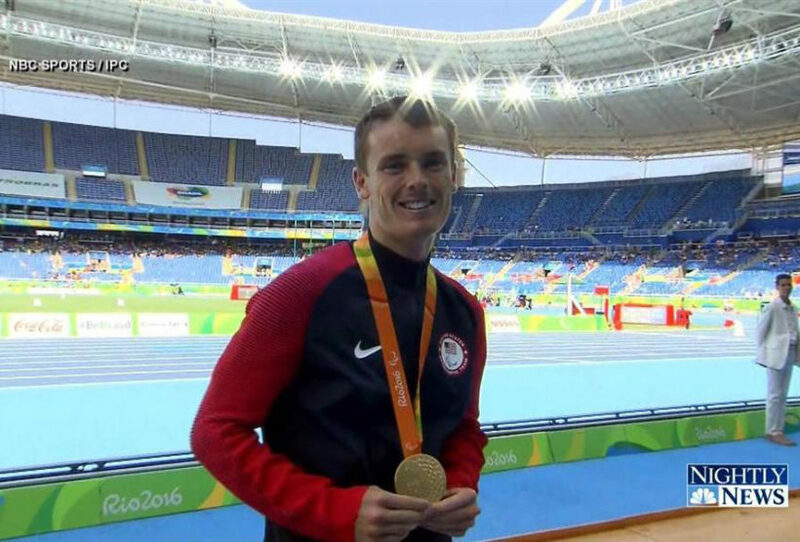 19 year old Mikey Brannigan, from Northport, Long Island just after winning the gold medal in the 1,500 meters for Team USA at the 2016 Paralympic Games in Rio de Janeiro on Sept. 13, 2016. Branningan said he wants to make the crossover form the Paralympics to the Olympics. Michael “Mikey” Brannigan, who has autism, can run a mile in under four minutes, has broken a world record and, as a high school athlete, was courted by over 200 colleges. When he was a little older, his parents enrolled him in Rolling Thunder, a running club for kids with special needs, and Brannigan’s life changed. At 17, he was considered one of the top 10 high school runners in the United States. Back then, his mile time was 4 minutes, 7 seconds. Prestigious universities like Duke, Georgetown and Stanford tried to woo him. Brannigan had hoped to go to a Division I school to run track, but because his autism hinders his ability to succeed in standardized testing, he is currently attending community college and trains full time with the New York Athletic Club. Despite the setback, Brannigan is thriving. During a meet on Aug. 5, he ran a mile in 3:57:58, making him the first T20-classified athlete (which means he has an intellectual impairment) to shatter the four-minute barrier, according to Runner’s World. In 2015, he won gold in the mens’ 1,500-meter T20 at the International Paralympic Committee Athletics World Championship in Dona, Qatar. “I love to work hard and have fun. And just beat my personal best and keep improving to that next level,” he told NBC in 2014. Edie told Runner’s World that her son hopes to make it into the 2020 or 2024 Olympic Games.